WOW! That is all I can say after a weekend in Austin. You could stay there a week and eat all the time and still not hit all the recommended restaurants. We went down with another couple for Hubby’s birthday. Our first day we walked South Congress and visited some very interesting shops. 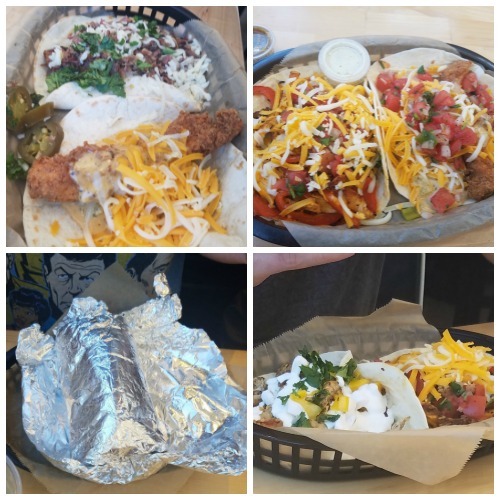 For lunch, we went to Torchy’s Tacos.We were impressed with the variety of tacos offered and it was hard to narrow down. After waiting in line, which there is for everything in Austin, we ordered a couple tacos each and one of us got a burrito. Hubby and I each had a Trailer Park Taco ‘Trashy’ with fried chicken strip, green chilis, pico on a corn tortilla, to make it trashy they add queso! I also had a Chicken Fajita Taco which was delicious with chicken grilled onions and peppers cheese and pico. R got a burrito, which was huge! Filled with rice, beans, beef, guacamole I got to taste it and all I had to say was YUMM! J got a Chicken Fajita taco too and a Mr. Pink with Ahi Tuna, cabbage fresca, cilantro and queso fresco. For a fish taco, it looked great. The afternoon we spent visiting a couple different breweries in town. 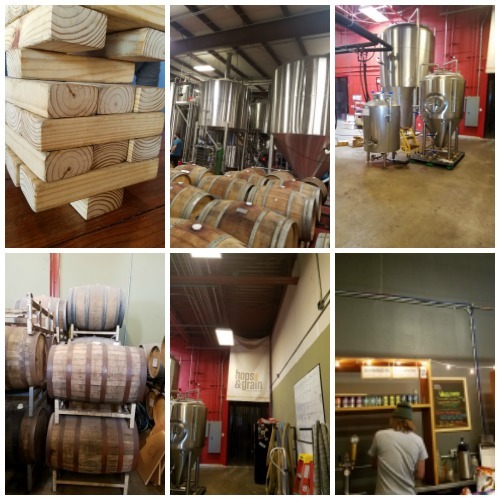 Hubby loves craft beers and I love going on brewery tours and seeing how they do it all. First, we visited Hops and Grain, it is on all the ‘must visit brewery’ lists that I saw so I knew we had to go. Then we spent a while playing games enjoying a beer and a tour at Independence Brewery. 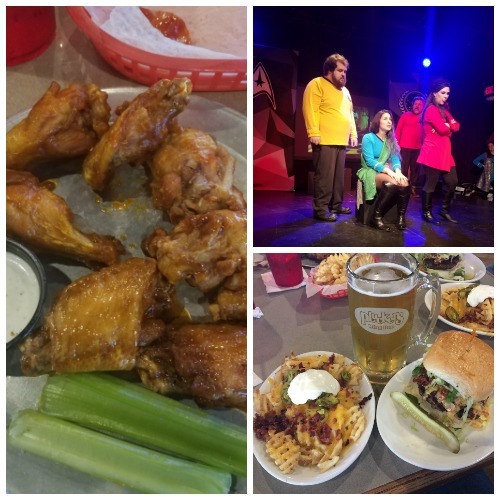 For dinner, we went to Plucker’s Wing Bar. 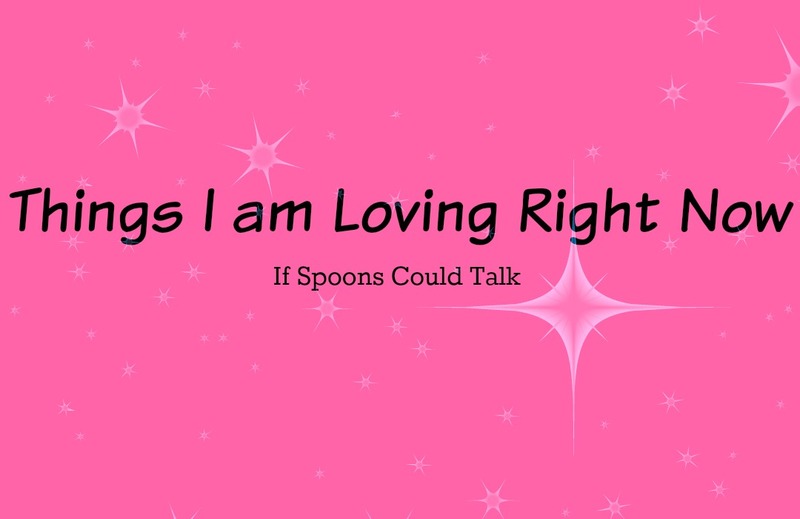 We shared a plate of Holly Macaroni, fried macaroni and cheese, and Fried Pickles. Both were out of this world. Hubby and J got the Gut Granade. A double meat burger with queso, bacon, and jalapenos. With loaded waffle fries with cheese and a 34oz beer. I got wings and R got Frachos, fry nachos. Everything was delicious. I had gotten tickets to an improv comedy show at The Hideout. We saw Start Treckin based on the Star Treck world. It was funny and the cast was great. 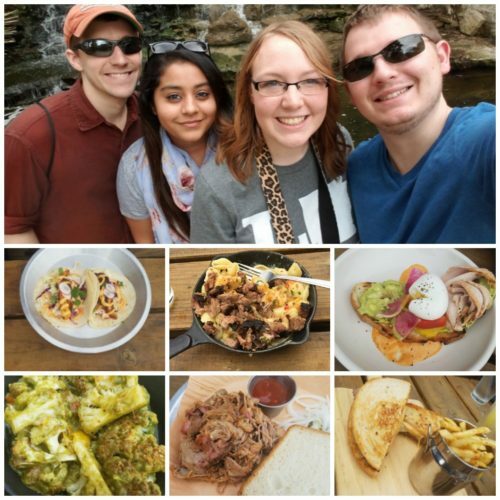 Our second day was a lot of fun too we spend some time checking out must see spots in Austin. 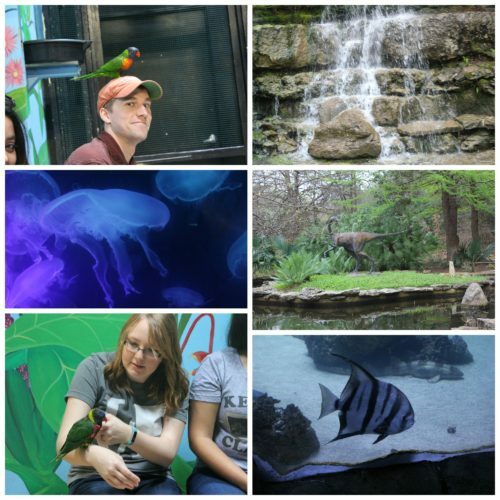 Hubby loves aquariums so we just had to hit the Austin Aquarium. It looked small and I was a little worried that it wouldn’t be good, but it turned out wonderful. They had a lot of tanks that you could feed the fish in, touch stingrays, and even an iguana that didn’t really have a cage that just stayed in its area. They had a huge assortment of fish that looked very well taken care of. There was also two bird habitats that you could go and sit in with the birds. R had a bird on her head for a bit, I had one jump on my arm and hang out and Hubby had one hop on his leg for a photo op. Then we went to the Zilker Botanical Garden. With it being winter there wasn’t an abundance of flowers but the layout was nice and the Pre-Historic Garden was fun. Then it was time for lunch, we had planned on going to La Barbeque but the line was insane and we couldn’t find parking anywhere. So we ended up stopping at a place we just saw and hoped would be good. I am so so glad that we went there instead. EastSide Tavern had great food and great atmosphere! We sat out on the patio and ordered some bottomless mimosas to start. I got Pulled Pork and a side of smoked cauliflower with a pesto sauce. That cauliflower was insane, who would think to smoke it! Hubby got a Brisket Patty Melt with some perfect brisket, that came with Parmesan Garlic Fries. R got an Avacado toast from the brunch menu. J got seasonal Gulf Seafood Tacos and later got an order of Mac n’ Cheese with brisket.It was made with their queso and there mouth watering brisket and was so delicious, we can’t wait to try and recreate it. After we hit a place called The Goodnight that has free bowling, pool and table games on Sunday afternoons. 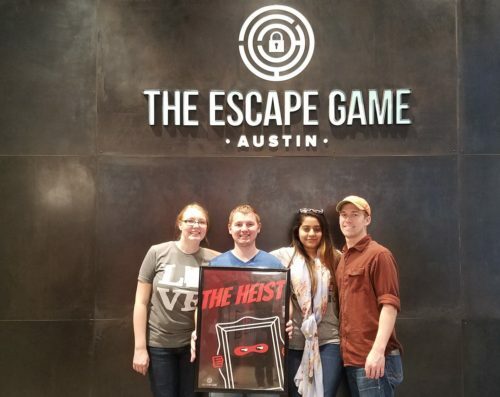 When we got done there we headed downtown to an Escape Room. This is the third room we have done together and it was one of the more difficult rooms in my opinion. We only had 4 out of the 7 recommended people and had about a 30-40% success chance. But we did it with a little under one minute to spare, including being locked out of a safe for 5 minutes because we had entered too many combinations. 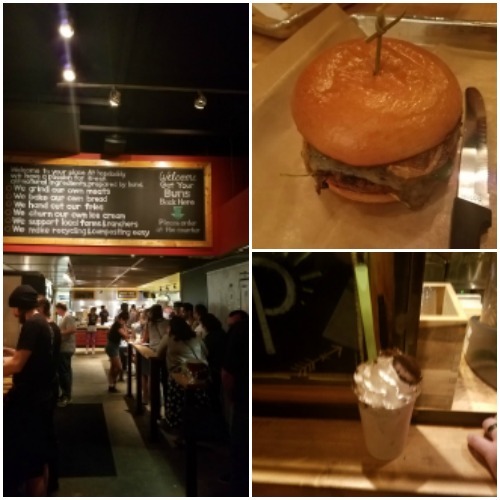 For dinner, we went to Hopdobby Burger place. We went back to Southern Congress because it was the closest to where we were. There was a long line but the wait really wasn’t too bad. They have the right idea and offer drinks and shakes while you are waiting in line to keep you happy, and from leaving because of the wait. Hubby and J grabbed a beer and R and I got a shake, I got a thin mint shake and it was great. They have some of the best burgers in Austin and are recommend on many many sites, and it did not disappoint. Once we had ordered it didn’t take long to get our food. I had a Tripple B burger which was the burger of the month. With blue cheese Akushie beef, bacon bourbon onion jam, arugula, and sassy sauce. Hubby had a Primetime which had an Akaushi pattie and brie cheese and other great items. R had a Terlingua which had Fritos on it! J, being the one who enjoys the spicy stuff had the El Diablo. All were on an egg bun that was house made, it had a little crunch on top and was so soft. 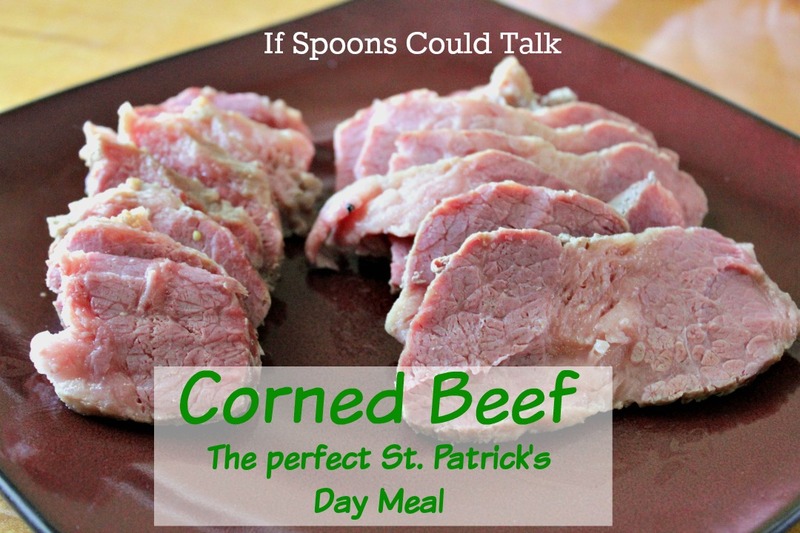 We ate so much Sunday that I was sure I could never eat again! We ended the night playing cards at the hotel. Monday we got up and went to Ikea since none of us had ever been. After wandering around there for about an hour and a half we headed out for the drive back home. We had so much fun in Austin and Hubby enjoyed his birthday weekend. 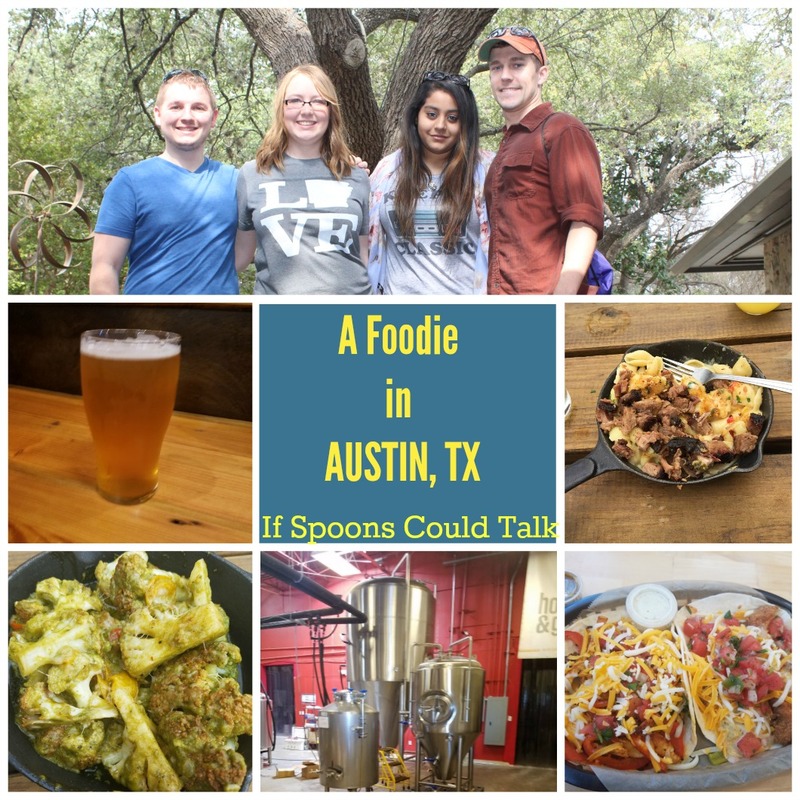 What is your favorite food find in Austin?